Do the following statements apply to you? I've watched this video and I'm excited! 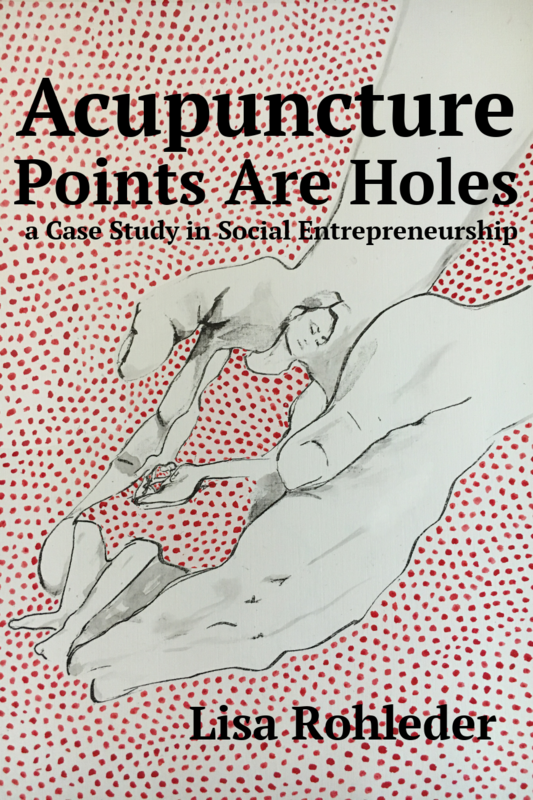 I have read the book Acupuncture Points Are Holes: a Case Study in Social Entrepreneurship, and I understand where POCA Tech and the community acupuncture model came from. POCA Tech is not like other acupuncture schools. If you think you're interested in POCA Tech, the first thing you need to do is to read this book. You will be REQUIRED to read this book before enrolling, but you should get a head start on the process and maybe save yourself some time with the application, in case it's not a good fit. If you don't like the book, you won't like the school. You can purchase a Kindle version here; paperback version is on the way. I’m looking for a career -- a very specific career --- rather than a degree. If you attend POCA Tech, you will learn the same things that students learn at other acupuncture schools, but in a very different context. POCA Tech is a technical school which offers a Master’s level certificate rather than a Master’s degree. POCA Tech is not just a cheaper way to go to acupuncture school; it’s designed for people who want to do a very specific job in a very specific context. Starting with your first classes, you will receive training in the skills you need to be an effective community acupuncturist so that when you graduate you can hit the ground running, either as an employee or as a new clinic owner. I know what POCA is, what it does, and how it does what it does. I’m ready to make a commitment to the co-op. POCA Tech is a project of the POCA Cooperative and has the same culture. If you love POCA, you’ll probably love POCA Tech (and if you don’t, you won’t). We want students who love POCA because enrollment at POCA Tech requires that you make a commitment to work for, or to start up, a POCA clinic for at least three years after graduation. As a POCA Tech student you will be spending time with other POCA members; you’ll get to know your future colleagues because they’ll be your teachers, supervisors and fellow volunteers. Being part of POCA is like being one bird in a flock – if the flock of birds happened to be operating a big, complex piece of machinery. Before you apply, make sure you consider whether we are your flock and this is your machine and you want to be doing something this beautiful and strange with your life. I’m self-motivated, self-disciplined, and I have the energy to tackle a demanding program. We set up POCA Tech in monthly four-day modules so that students could keep the cost of their education down by working while attending school. However, the module system has its own challenges. When it’s on, it’s on! 28 hours of intensive learning packed into 4 days! When it’s not on, students have to keep themselves in learning mode by studying and doing homework while they’re going about the rest of their lives. It’s not easy and it’s not for everyone. I’m willing to do the rote memorization that’s required to pass the national certifying exam for acupuncturists. There is no getting around it: acupuncture education requires a lot of rote memorization. In some ways, it’s like learning a language: you have to put in the time to make flashcards, pore over textbooks, and go to study groups and review sessions. Some of it will be boring and repetitive. You have to be motivated enough to tough it out. I’m willing to participate in lots of experiential learning, small group work, and classroom presentations. POCA Tech is not a school where you can hide at the back of the classroom. We believe that how we teach is as important as what we teach. For example, all modules start with “opening rounds” and end with “closing rounds”; everybody checks in about how they’re doing when the module starts, and at the end they check in about how the module went. Whenever possible, POCA Tech faculty facilitate experiential learning exercises as opposed to lecturing. POCA Tech is designed to prepare you to work as part of a team, think on your feet, interact with a wide range of people, and engage creatively with challenging situations. You can’t be passive; you have to be ready to take some risks. Speaking of risks, I’d like to be part of a new, constantly developing, cutting edge program. POCA Tech, like the community acupuncture movement itself, is a work in progress. The downside is that we all have to tolerate the messiness, mistakes, reversals, and ambiguity that go along with a creative project, especially one on a big scale. The upside is that the process is never boring, and there is a lot of room for students to contribute. Above all I want to work for marginalized people, and I’ll gladly accept the consequences. We want to serve the people that our society pushes to the margins, even if that means we join them there. If worldly success and recognition are important to you, if you hate being misunderstood and dismissed (including by other acupuncturists), and particularly, if validation from “the system” is something you want, this is not the school for you. Community acupuncture is a vocation. It’s not easy and it’s not for everyone. If caring for people on the margins will bring you joy, POCA Tech is for you.